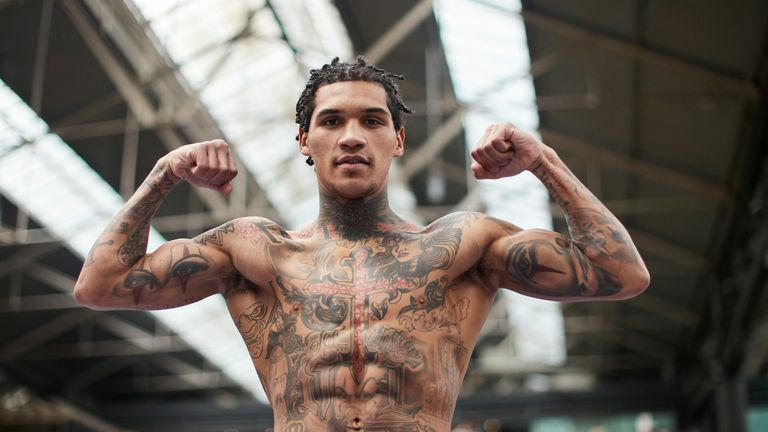 Conor Benn said his career has "no ceiling" ahead of his return to the ring against Josef Zahradnik on Saturday’s Fight Night. The 23-year-old, who has been unable to fight since sustaining a hand injury during his win over Cedrick Peynaud in July 2017, is expecting more obstacles to get in his way, but considers his entire career "a blessing." Ahead of his welterweight bout against Czech boxer Zahradnik, Benn said he has already surpassed his own expectations. "I feel great, preparation has gone well," Benn told Sky Sports News. "I'm just ready to go, my career has been such a blessing. "I've achieved more than I thought I could, overcoming curveballs, overcoming mountains I didn't know I could overcome until they're presented to you. "I'm happy with the man I'm becoming and the fighter I'm becoming. I fight with my heart on my sleeve. "There's no ceiling on my career, we'll end up where we end up, we're in for one hell of a journey, ups and downs, a rollercoaster. I'm just glad I've got the British public behind me. "We'll find out whether I'm a hype job or not. We'll find out whether I'm the real deal or not, mark my words." Benn has won all 13 of his fights since making his professional debut in 2016, and he believes he is continually improving as a boxer. Looking back on the progress he has made, Benn was critical of his early fights, but marvelled at the reception he now receives from British crowds. "I was a novice, my first three fights were absolutely shocking," Benn said. "This is all me, this is all my hard work because if I wasn't working hard, I'd be the same fighter I was two years ago. "I would still not be with Matchroom, I wouldn't get standing ovations after my fight, I wouldn't have people show up to the O2 going mad to see me fight. 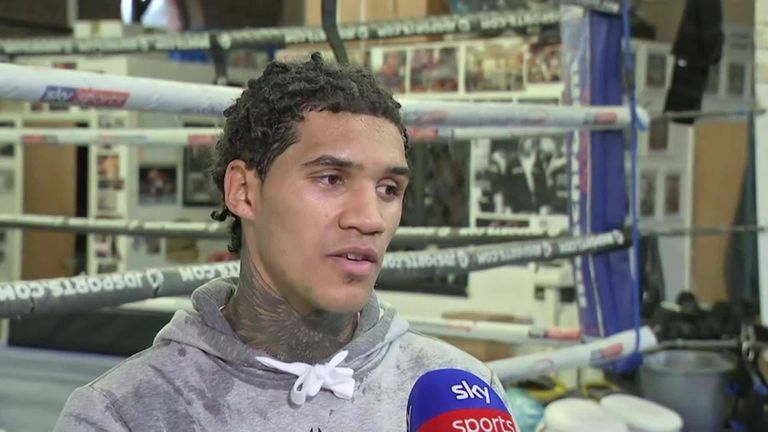 Conor Benn discusses his rise in boxing as he makes a return to the ring against Josef Zahradnik on Saturday's Fight Night, live on Sky Sports Action. "Overwhelmed I was, stood there like 'Wow, this 21-year-old, as I was then, can give you this much entertainment? Are you not entertained?' It's crazy." "What does my future hold?" Benn added. "A lot of drama because my career has been drama nonstop. "I've had great knockouts, unbelievable knockouts, ferocious knockouts and I've been put on the canvas myself. "I've had to slug it out, I've had to go to the trenches and this year, I'm only getting better. "You can only get better from where I was because I was shocking before. "Hard work beats talent when talent doesn't work hard, remember that."